The Efik people are located in the South-South geopolitical zone of Nigeria. They can be found primarily in two states; Akwa-Ibom and Cross-River state, although a minority can be found in the neighboring country of Cameroon. The name ‘Efik’ is said to be of Hebrew origin (Aphik or Hepik) which means ‘oppressor’. They speak the Efik-Ibibio language. This is a cluster of languages that are quite similar to each other, but also quite different. Some of the languages include; Efik, Ibibio, Annang, Oro, Ibeno, and so on. 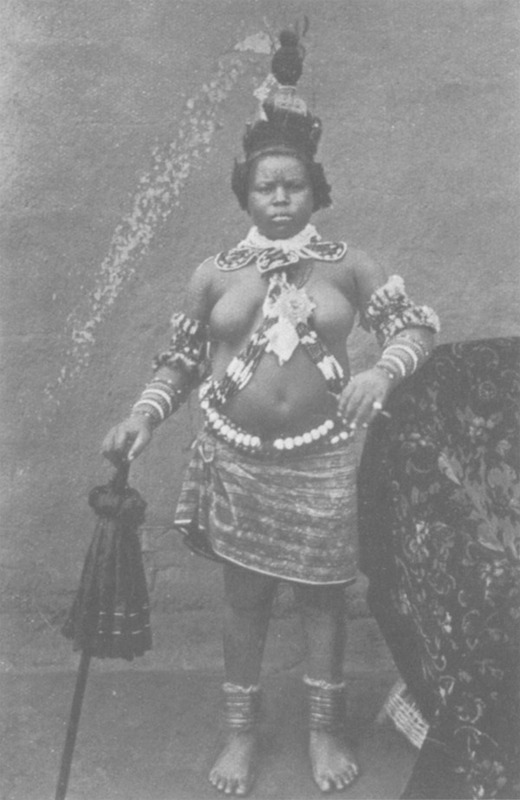 Although some accounts suggest that the Efik people have Bantu origins, the most accepted tale is of their Hebrew origin. They are believed to have originated from the Orient, precisely from Palestine, from where they migrated to ancient Egypt. They are believed to have been a part of the Falashas, some black Jews who left Egypt due to the harsh treatments meted out by the Egyptians on the Israelites at the time. The movement is said to have happened until they reached ancient Ethiopia, where they settled for some time. The birth, death, and resurrection of Jesus Christ led to the introduction of Christianity which they adopted. However, with the introduction of Islam and the Arabs quest to conquer Ethiopia as they had conquered Egypt led to another exodus of the Efik ancestors. The movement saw them separate at different points through their journey; they separated at Sudan and Lake Chad. 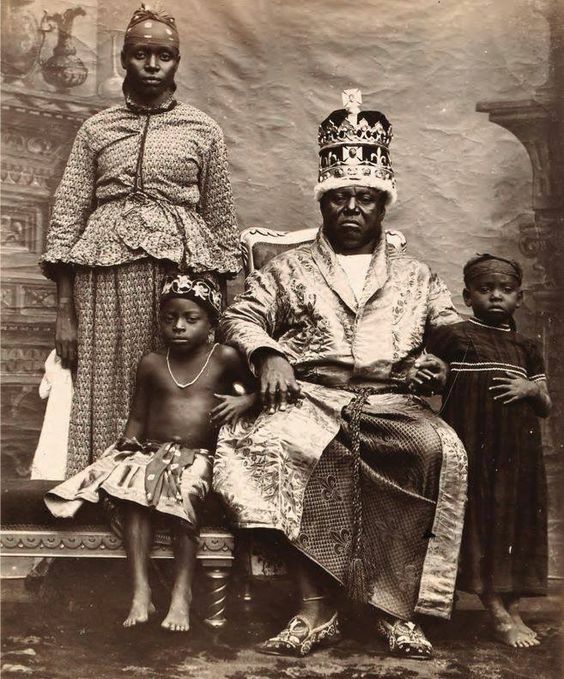 The present-day Efik people settled in Cameroon (Oron and Uruan), while some settled in Ghana, Congo, and Equatorial Guinea. The Nigerian Efiks came in through the plains of Adamawa in present-day northern Nigeria. Some settled in an Igbo village called Ututu in Aro while the majority settled at a place they called Gibbom after the name of their God. Gibbom has been changed over the years into ‘Ibom’. Efik language was one of the earliest languages in Nigerian with its original the conventional spelling system devised by King Eyo Nsa Honesty in 1812. It was one of the first three Nigerian languages to be systematically coded with its own orthography and grammar. Efik was also one of the first Nigerian languages that the Holy Bible was translated into. In times past, Efik people confined a prospective bride to a secluded room known as the fattening room, where she is given an all-around training and beauty therapy within a particular time frame in order to get her prepared for womanhood and marriage. Within this period of seclusion, the girl is taken care of by older women and is not allowed to have any contact with other people. On a daily basis, she eats six large portions of food, does not work at all, is massaged three times, made to sleep for many hours, drinks three pints of water three times in order to become the required robust bride with a healthy waistline. In the fattening room, the girl is taught how to cook and keep the home, care for her children and respect her would-be husband and his family. As part of the cultural training, the girl also learns how to dance Ekombi- one of the Efik’s cultural dances, and other forms of entertainments as well as skills. When the period of seclusion is over, a graduation ceremony is held in honor of the young girl and people are invited to witness the occasion which usually involves a lot of dances, including the ekombi and other kinds of entertainment. A colorful dance that is precise and is said to be derived from the rhythmic movements of sea waves. It is a graceful dance with magnificent footwork. Said to be a dance that expresses peace and happiness, Ekombi shows the beauty and femininity of a woman, no wonder it is usually danced by brides as they come out of the fattening room. 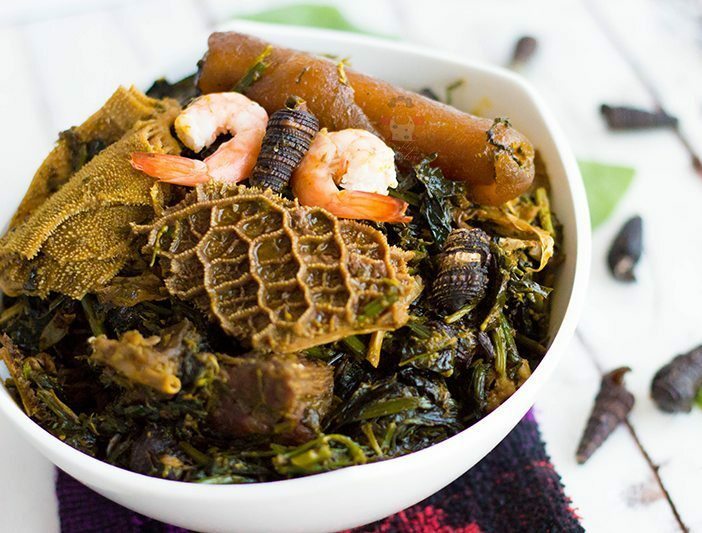 These are traditional Efik vegetable soups that are considered a delicacy among many Nigerians and widely eaten all over the country. They are mouth-watering, highly nutritious soups prepared with a generous amount of pumpkin leaves and water leaves (that’s for the edikang ikong soup), while the afang soup is made with an ample quantity of water leaves and the wild herbal Okazi leaves. Unfortunately, these soups are costly to prepare and it is said to be eaten mostly by the rich. Other of their cultural delicacies are Ọtọñ soup, Abak soup, Fisherman soup, White soup and Ekpañ Ñkukwọ. 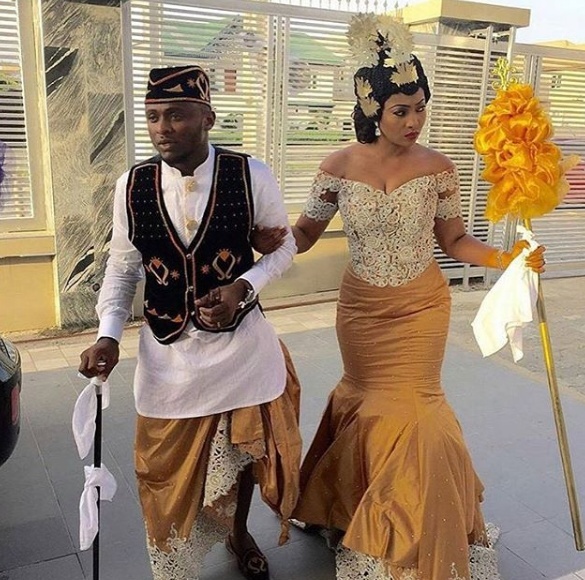 The traditional attire for Efik people consists of a few pieces, namely- the traditional wrapper and chieftaincy shirt for the men and wrapper and short sleeveless blouse for the women. The wrappers worn by both the men and the women are an ankle-long piece of cloth, wrapped to look like a skirt, usually with traditional ornaments on it. The men’s shirt, normally made from simple fabric, is always longer than the standard shirts, usually sewn to reach the middle of the hip, with notches on both sides. To complete this traditional look, a man must hold a cane, wear a traditional cap or hat, beads and other types of necklaces. For the women, there are a vast variety of textile materials that are used for blouses. The color of their blouses is usually selected to fit the wrapper and then sewn according to the style preferred by the owner. Alongside the wrapper, the blouse makes the whole attire to look elegant. To further embellish their dressing women often wear neck beads, headgear or some other types of traditional headwear and ornament. 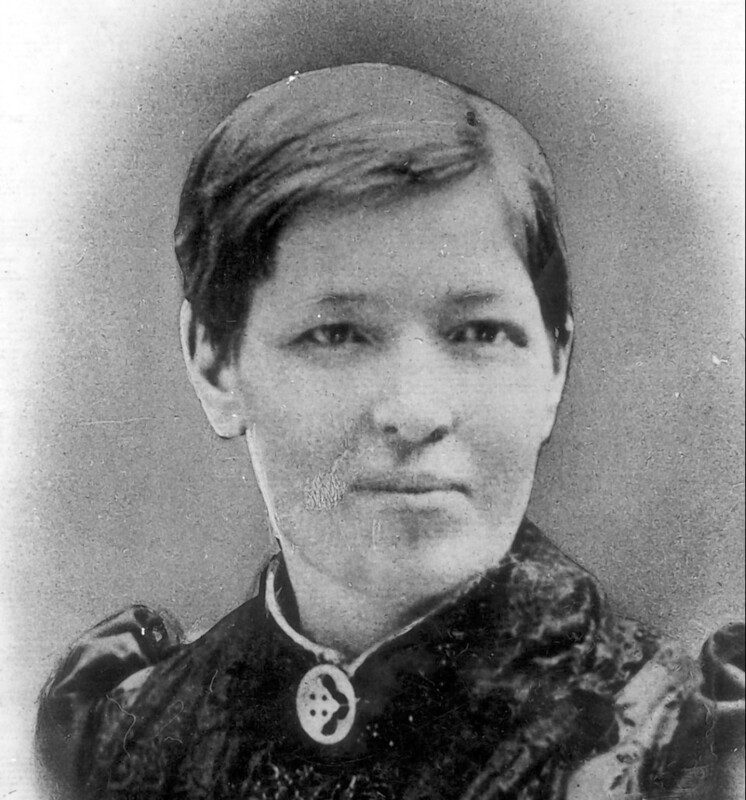 The Efiks in Calabar practiced the inhumane ritual of killing twins until Mary Slessor, a Scottish missionary intervened. The first photographic studio in West Africa was established in Calabar in 1876. The Efik city, Calabar has a prominent yearly festival and the Tinapa resort which was one of the foremost tourism boosters in Nigeria. The city of Calabar was also the first Capital city of Nigeria.